Atlanta Track Club welcomes runners and walkers to the Invesco QQQ Thanksgiving Day Half Marathon, 5K, One Mile & 50m Dash. Due to popular demand, online registration is re-opened until 11:59 p.m. on Wednesday, November 21! Participants registering online on November 20 or 21 must pickup their race numbers on race morning. Shirts will be distributed to those participants beginning on November 26 based on availability. 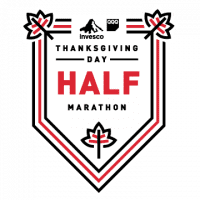 Kick off your Thanksgiving with the Invesco QQQ Thanksgiving Day Half Marathon, 5K, One Mile & 50m Dash. It's an Atlanta tradition! 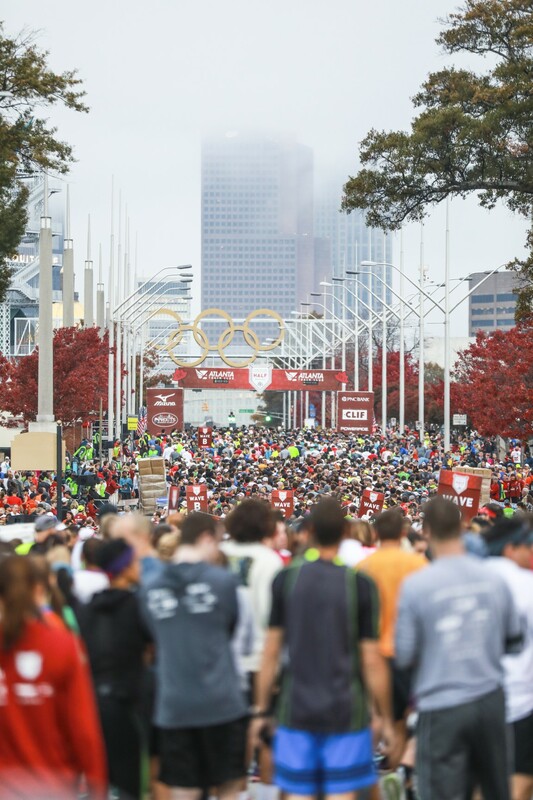 Runners and walkers will earn their turkey as they start their race under Atlanta's iconic Olympic rings. Stick around for a post-race celebration outside Georgia State Stadium (formerly known as Turner Field). You'll want to bring your medal and your bragging rights to Thanksgiving dinner. This event will sell out, so sign up today! Atlanta Track Club events are held rain or shine. However, the threat of lightning or other severe weather in the vicinity of the event may result in a delay or cancellation. For full details on our event policies, including weather, refunds and cancellations, click here. Race day registration is not offered for this event. Onsite registration will be available during race number pick-up dates/times held prior to event day, unless events are sold out. Pre-race number pickup dates and times are listed below under Additional Information. Unofficial results available online the afternoon of the event. Results are made official approximately two weeks after the event, after all inquires have been processed. Atlanta Track Club is a member organization of both the Road Runners Club of America (RRCA) & USA Track & Field (USATF) and adheres to the guidelines and rules of competition in the events Atlanta Track Club conducts & provides. For the safety and enjoyment of all participants, no pets, or wheeled conveyances of any kind, including baby joggers/strollers, roller/inline skates, and bicycles, are permitted on the course. Headphones are strongly discouraged. If you are interested in the event as a wheelchair participant please email Lisa Tanner, [email protected]. Hours extended for final day of pickup! Participants are welcome to send a friend or family member to pick up their number. One Mile & 50m Dash participants have the option to pick up thier number at one of the above times, or on race day. Race day number pickup is offered for one mile and dash runners ONLY. Thanksgiving Day registrants may switch races, if space is available, at race number pick-up on Saturday, November 17, Sunday, November 18, Tuesday, November 20, or Wednesday, November 21. No refunds will be issued if you switch from the half marathon to the 5K, and additional fees will apply for those switching from the 5K to the half marathon. Shirts will be provided based on availability to those switching events. Those who switch events on race morning will be disqualified and removed from the results. In order to serve all our athletes, Atlanta Track Club offers opportunities for Athletes With Disabilities (AWD). If you are an AWD and interested in participating in Thanksgiving Day Half Marathon, 5K and One Mile, please email [email protected], to discuss what reasonable accommodations can be made based on your specific needs. Atlanta Track Club officials will provide reasonable accommodation to Athletes With Disabilities on an individualized and event by event basis. 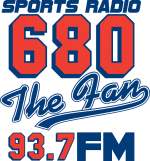 Free parking is available at Georgia State Stadium in the Gold, Orange, Green, Blue, Red, Grey and Yellow lots. Save time, stress and the environment by using Lyft to get to the Invesco QQQ Thanksgiving Day Half Marathon, 5K, One Mile & 50m Dash! Atlanta Track Club has partnered with Lyft to give participants an exclusive discount. New Lyft users will get $5 off two rides and existing users will get 20% off their ride up to $5. Use the codes below in your Lyft app. Gear check is NOT offered for this event. Instead, please see information below on the Ton of Clothing drive. New this year, visit us on any of the four days of race number pick-up and enter the contest by wearing as many layers of clothing (to be donated) as possible! The person who wears the most layers will win a $500 gift card to Sprouts! Winner will be announced at the awards ceremony on race day. Layer up to stay warm before the start, and then donate. Shed your clothes at the starting line or place them in bins found onsite race morning. Clothing will be collected, bagged, washed and then donated. Atlanta Track Club is offering a Will Call option for Thanksgiving Day Half Marathon events. The cost is $20 per centry, and half of these proceeds will be donated to the Atlanta Mission as a part of this initiative. See above "Will Call" section for more details. The Thanksgiving Day Half Marathon Pace Team is here to help you achieve your goals at the event. Click here to learn more about pace group benefits. Participants can sign up during race number pickup. Overall awards are based on gun time and overall winners are not eligible for age group awards. Age group awards are based on net time. Age group awards for both distances will be mailed once results are finalized (approximately two weeks after the event). Your 2018 Triple Peach medal and finisher’s shirt, will be awarded in the post-race festival area. Let us help you train for a longer distance! Accomplish new goals this fall with Atlanta Track Club’s In-Training for Thanksgiving Day Half Marathon program. The 16 week program starts on August 11 and includes weekly pace group runs, mid-week workouts, monthly clinics, and more. The flexible program can be tailored to your current fitness level. Whether you’re training for your first half marathon or your 50th, don’t go at it alone. Interested in giving back to the sport of running? Come volunteer with us! To learn more, please email [email protected]. If you have additional questions regarding the event, please email [email protected]. Did you know as a member of Atlanta Track Club you receive a discount on all events (except AJC Peachtree Road Race)? Join today to begin receiving discounts and the many other benefits of membership!